In recent years Kizomba has experienced a popularity explosion in the USA as well as the global latin dance community. 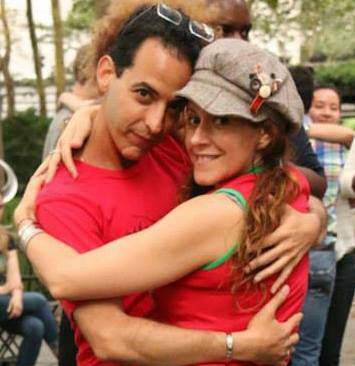 New York based instructors David Campos and Guida Rei are helping lead this new generation of Kizomba dancers. 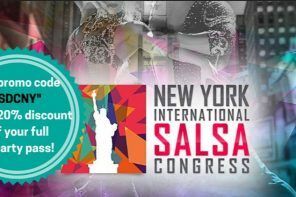 In addition to teaching weekly classes in New York, they have traveled to teach in numerous locations including Paris, Montreal, Dallas, Cancun, and San Francisco. Angolan Kizomba is very popular in Portuguese-speaking countries and both David and Guida have Portuguese roots. David was born in France and is of French-Portuguese heritage. He had 15 years of experience as a dancer and actor before moving to New York. He has taught numerous weekly Kizomba classes since relocating to the U.S. and has been a staple in the U.S. Kizomba scene since 2010. Guida was born and raised in Portugal and also has extensive dance training and experience. Campos met Guida at an event he was promoting in February of 2012, and they began teaching together by June of the same year. 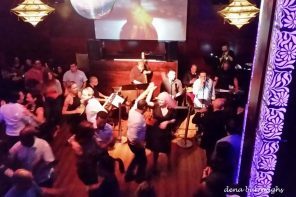 David – We knew right away that we had a good connection and good feeling when dancing together. David was at the forefront of the Kizomba movement in the USA and was teaching the dance before it became popular in the latin congress scene. They both feel Kizomba has grown in the latin dance community because it is a new and different flavor from Salsa and Bachata. Guida – When Kizomba was first coming to the festivals many dancers were drawn to the music. The music was very appealing. Also, from my experience of why I and students enjoy Kizomba so much is that the girl has a little more freedom to make choices in how she moves. Kizomba is all about the connection. It requires a lot of partnership and dedication to make it really enjoyable. Guida also mentioned that dancers don’t have to over think their movements when dancing Kizomba. She acknowledged that the closed position of Kizomba is an adjustment for many, but that once they are comfortable the dance can be very relaxing and meditative. Campos said another difference when dancing Kizomba is that your energy and expression should be focused inward. David – When you dance Salsa or Bachata you try and seduce your partner by doing shines and different movements. In Kizomba we don’t do that. You dance for your partner. In Kizomba you don’t need to many complicated and technical steps to enjoy the dance. You can enjoy it in a simple way. David and Guida also perform in addition to teaching. In fact, one of Guida’s favorite dance moments came during a performance they did at the Mayan Salsa Casino Congress in Cancun, Mexico. She was seven months pregnant during the show, and admits that she danced during her entire pregnancy. Guida – I told David that during that performance I wanted to expose my belly and dedicate the performance to my baby daughter (Mellie). I had many woman come to me after the performance and say they were inspired by it. Traveling and teaching while caring for a baby is one of a few challenges that David and Guida face while on the road. Baby Mellie sometimes keeps them awake even when they decide to not dance late into the night. They try to keep a healthy diet and get enough sleep, and they say that is important because energy is key. Guida – Teaching and dancing requires a lot of energy. Even though you’re exhausted you have to give that extra energy to be your best, and that’s what we try to do. David and Guida certainly represent the best of what the Kizomba community has to offer, and it will be well worth your time to attend one of their classes/workshops if you get the chance. For more information on the duo visit their website at DavidCampos.Fr.